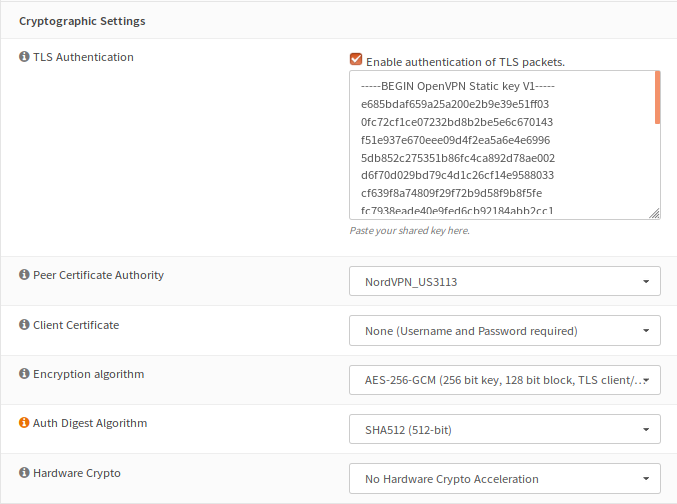 In order to setup OPNsense with OpenVPN please access your OPNsense via browser. 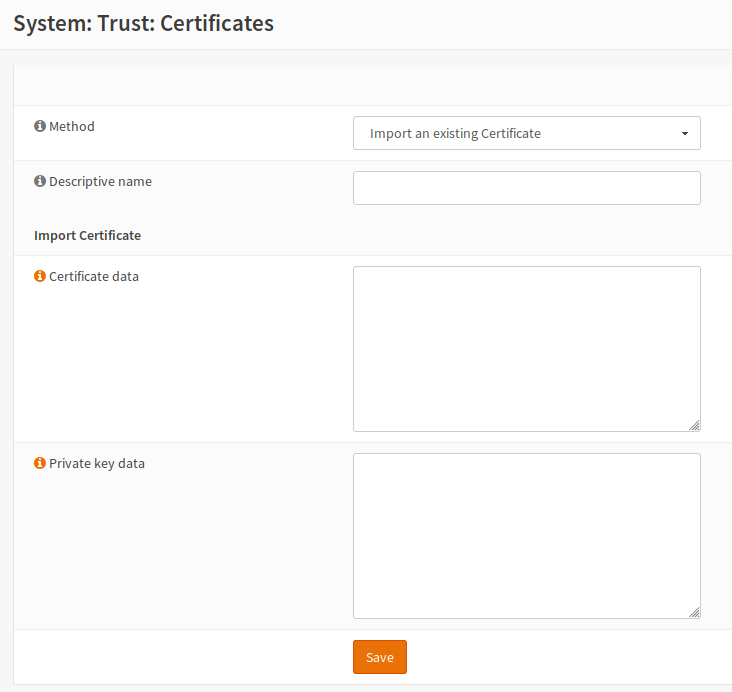 Navigate to System -> Trust -> Authorities and click on the +Add button. 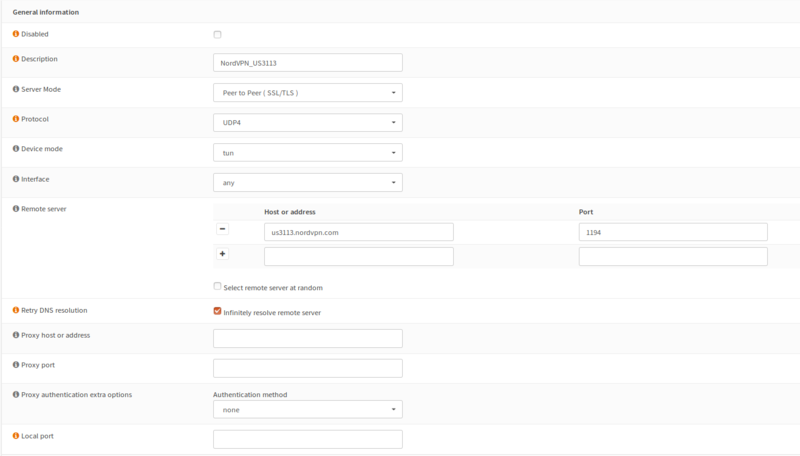 We will configure our OPNsense to connect to US 3113 server but you should connect to a server suggested to you at this page: https://nordvpn.com/servers/tools/ . Navigate to VPN -> OpenVPN -> Clients and press + Add button. Description: Any name you like. We will use NordVPN_US3113. Navigate to Interfaces -> Assignments and click on + near New Interface. By default, it is ovpnc1. Click on the OPT1 to edit the interface. 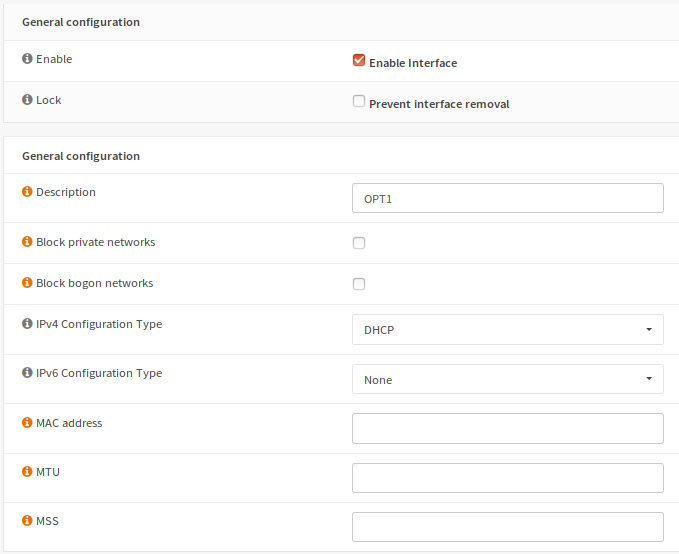 No changes required on the DHCP client configuration so just click on Save button. Navigate to Services -> Unbound DNS -> General. Click Save and Apply changes. Leave anything else as it is by default, click Save, and Apply Settings. 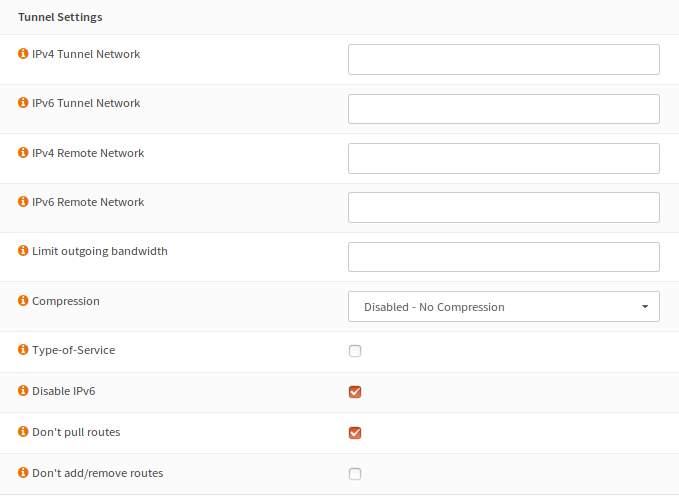 Navigate to Firewall -> NAT -> Outbound, select Hybrid outbound NAT rule generation (automatically generated rules are applied after manual rules), click Save and Apply Changes. Click on the +Add button on top, on the edit menu, select Interface as OPT1. Leave anything else by as it is by default, click Save, and Apply Changes. Navigate to Firewall -> Rules -> LAN and delete the IPv6 rule. After that, click on the edit button next to IPv4. 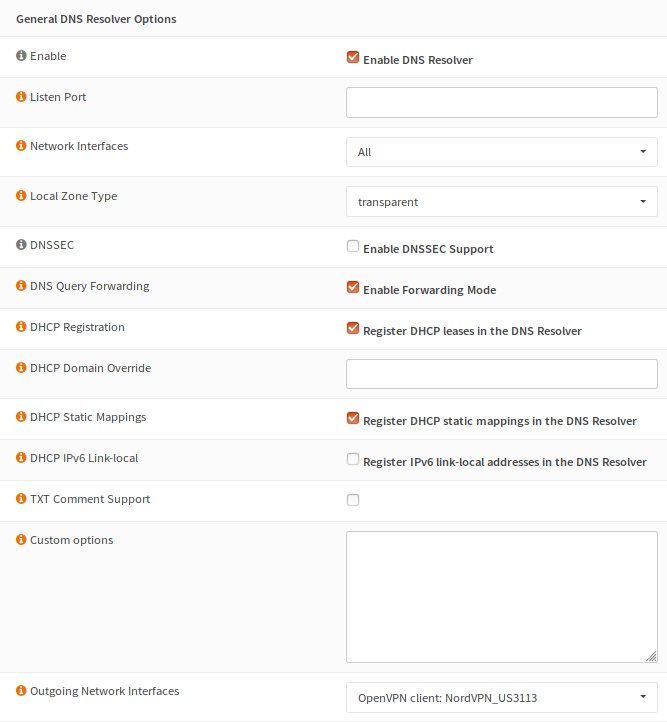 Scroll down and under Advanced features, select Gateway as OPT1_DHCP. Click Save and Apply Changes. You can also check the connection log file under VPN -> OpenVPN -> Log File. If you encounter any connection issues, please send the log file to our customer support for the further support.